Deploy internal and external communications for ESET North America that increase positive sentiment and coverage of ESET products, services, research and campaigns. Build ESET as the IT Security Expert in North America. 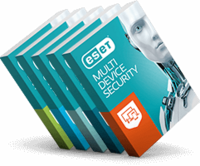 Manage the launch of all ESET Products and services in North America. Maintains and adheres to PR best practices including event support, executive/spokesperson media training, staffing briefings, media tours. Builds partnerships with sales, marketing, customer support and business development teams to maximize PR opportunities. Launch consumer and business PR programs that address and engage target influencers and audiences. Collects, monitors and reports press release, research news, and product coverage and more to Global PR Manager to glean insights into PR performance. Supports OCEO philanthropic and community/civic-related speaking engagements, appearances and event support. Maintains Crisis Communications materials, documents procedures and recommends improvements. Extensive writing of press releases, media alerts, corporate blogs and executive briefing materials. Execute PR campaigns that result in increased exposure of ESET and our solutions with key influencers. Expand PR outreach to new media outlets and influencers. Establishing strong relations with members of mainstream and security-focused media. Collaborate with PR agency, marketing, social media and sales teams to deliver consistent tone of voice. Develop relationships with local media and generate positive coverage for ESET in the region. Establish local presence through active engagement with philanthropic organizations. Coordinate press opportunities with current media partners. Bachelor’s Degree in public relations, journalism, English or related course of study. Business acumen with an understanding of B2B and B2C marketing. Superior writing skills with the ability to change voice and tone to suit audience. Able to craft PR presentations to present campaigns from concept, through launch and post launch activities. Ability to manage and direct agency resources. Knowledge of the information security industry a plus. Securing media coverage for ESET in top-tier national and local outlets. Executing PR programs resulting in awareness and purchase intent/consideration. Breaking from traditional PR practices and developing strategies that maximize the news cycle. Performance is evaluated against departmental goals and objectives set forth by management twice yearly. Performance management tools include departmental alignment goals, and individual annual performance review. Possesses sufficient job skills and knowledge to perform the job in a competent manner. Is able to demonstrate skills and knowledge in day-to-day situations. Comes across as confident and well-prepared when making group presentations. Makes effective use of visual aids or presentation software and looks at ease while handling questions from the audience. His/her presentations hold the audience's attention and tend to be the right length for the amount of information covered. Has a good understanding of product line features and benefits and uses that knowledge to optimize sales with each customer. Understands the product market and uses this knowledge to increase personal credibility and product sales. Keeps abreast of competitors' activities and typically responds quickly to what the competition is doing. Ability to work or be on-call 24/7 as relates to website up-time and functionality. Ability to work or be on-call 24/7 as relates to product launches. Ability to work or be on-call 24/7 as relates to projects assigned. Direct promotion or lateral transfer within Marketing or other department as training and experience qualifies, following 1 year in position.